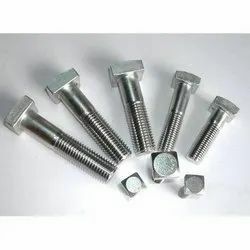 PETROMET FLANGE INC IS A MANUFACTURER OF ASTM A193 Grade B16 stud bolt are used in high temperature & high pressure environment.These Stud Bolts are very similar to Grade B7 Stud bolts but the alloy contains an additional element called Vanadium. 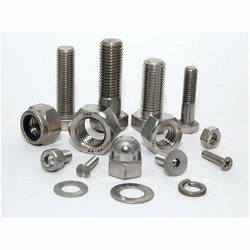 Vanadium brings to the alloy high strength and heat resistance which is very critical to Grade B16 as these are used in very high temperature environment.Grade B16 stud bolts can with stand temperatures up to 537 degree Celsius.Recommended Hex nuts for ASTM A193 B16 stud bolt are Grade 4 or Grade 7 nuts.Grade 4 nuts are slowly being substituted with Grade 7 nuts.Grade 7 nuts have chromium in it which gives it high strength and increases its corrosion resistance.Grade B16 stud bolts are generally used with ASTM A283 or GrF11,F22 flanges. 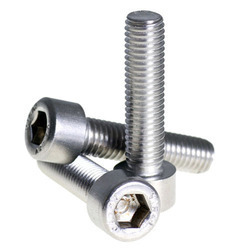 We are offering Hexagonal Bolt to our clients. 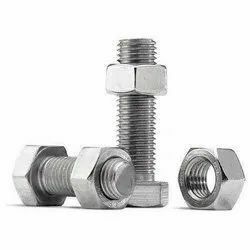 Cupro Nickel 90 - 10 And 70 - 30 FastenersFORM OF FASTENERS Nut Size: M02 to M50 Type: Hex Nuts, Grds 2, 5 & 8 , Auto Lock Nuts, 2-H Heavy Hex Nuts, Coupling Nuts, Acorn Nuts, Slotted Nuts, Heavy Hex Nuts, Square Nuts, Jam Nuts, Wing Nuts, Kep Nuts, Sleeve Nuts, Miscellaneous Nuts, Nylon Insert Lock Nuts, etc. . BOLTS Bolt Size: M02 to M33 Length: 3mm to 1000mm Type: Hanger Bolts, Plow Bolts, Shoulder Bolts, Flange Bolts, Draw Bolts, Toggle Bolts Scraper Blade Bolts, Stove Bolts, Tap Bolts, Elevator Bolts, Hex Bolts, Heavy Hex Bolts, Structural Bolts, Square Bolts, etc. . SCREW Size: M02 to M33 Length: 3mm to 1000mm Type: Cabinet Installation Screws, Cement Board Screws, Concrete Screws, Decking Screws, Dowel Screws, Drywall Screws, Floorboard Screws, Metal to Wood Screws, Machine Screws, Resistant Screws, Sheet Metal Screws, Cap Screws, Socket Cap Screw, Self Drilling Screws, etc. 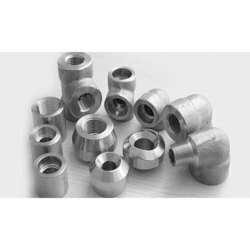 WASHERS Washer Size: M02 to M33 Type: A-325 Flat Washers, Fender Washers, Internal Tooth Lock, External Tooth Lock, Plain Washers, Square Washers, Dome Plain Washers, Countersunk Washers, Dock Washers, Ogee Washers, Bevel Washers, Flat Washers – SAE, Flat Washers – USS, Split Lock Washers, etc. .
FORM OF FASTENERS Nut Size: M02 to M50 Type: Hex Nuts, Grds 2, 5 & 8 , Auto Lock Nuts, 2-H Heavy Hex Nuts, Coupling Nuts, Acorn Nuts, Slotted Nuts, Heavy Hex Nuts, Square Nuts, Jam Nuts, Wing Nuts, Kep Nuts, Sleeve Nuts, Miscellaneous Nuts, Nylon Insert Lock Nuts, etc. . BOLTS Bolt Size: M02 to M33 Length: 3mm to 1000mm Type: Hanger Bolts, Plow Bolts, Shoulder Bolts, Flange Bolts, Draw Bolts, Toggle Bolts Scraper Blade Bolts, Stove Bolts, Tap Bolts, Elevator Bolts, Hex Bolts, Heavy Hex Bolts, Structural Bolts, Square Bolts, etc. . SCREW Size: M02 to M33 Length: 3mm to 1000mm Type: Cabinet Installation Screws, Cement Board Screws, Concrete Screws, Decking Screws, Dowel Screws, Drywall Screws, Floorboard Screws, Metal to Wood Screws, Machine Screws, Resistant Screws, Sheet Metal Screws, Cap Screws, Socket Cap Screw, Self Drilling Screws, etc. 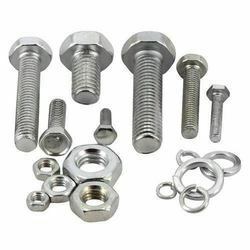 WASHERS Washer Size: M02 to M33 Type: A-325 Flat Washers, Fender Washers, Internal Tooth Lock, External Tooth Lock, Plain Washers, Square Washers, Dome Plain Washers, Countersunk Washers, Dock Washers, Ogee Washers, Bevel Washers, Flat Washers – SAE, Flat Washers – USS, Split Lock Washers, etc. .
Monel 400 FastenersFORM OF FASTENERS Nut Size: M02 to M50 Type: Hex Nuts, Grds 2, 5 & 8 , Auto Lock Nuts, 2-H Heavy Hex Nuts, Coupling Nuts, Acorn Nuts, Slotted Nuts, Heavy Hex Nuts, Square Nuts, Jam Nuts, Wing Nuts, Kep Nuts, Sleeve Nuts, Miscellaneous Nuts, Nylon Insert Lock Nuts, etc. . BOLTS Bolt Size: M02 to M33 Length: 3mm to 1000mm Type: Hanger Bolts, Plow Bolts, Shoulder Bolts, Flange Bolts, Draw Bolts, Toggle Bolts Scraper Blade Bolts, Stove Bolts, Tap Bolts, Elevator Bolts, Hex Bolts, Heavy Hex Bolts, Structural Bolts, Square Bolts, etc. . SCREW Size: M02 to M33 Length: 3mm to 1000mm Type: Cabinet Installation Screws, Cement Board Screws, Concrete Screws, Decking Screws, Dowel Screws, Drywall Screws, Floorboard Screws, Metal to Wood Screws, Machine Screws, Resistant Screws, Sheet Metal Screws, Cap Screws, Socket Cap Screw, Self Drilling Screws, etc. WASHERS Washer Size: M02 to M33 Type: A-325 Flat Washers, Fender Washers, Internal Tooth Lock, External Tooth Lock, Plain Washers, Square Washers, Dome Plain Washers, Countersunk Washers, Dock Washers, Ogee Washers, Bevel Washers, Flat Washers – SAE, Flat Washers – USS, Split Lock Washers, etc. .
FORM OF FASTENERS Nut Size: M02 to M50 Type: Hex Nuts, Grds 2, 5 & 8 , Auto Lock Nuts, 2-H Heavy Hex Nuts, Coupling Nuts, Acorn Nuts, Slotted Nuts, Heavy Hex Nuts, Square Nuts, Jam Nuts, Wing Nuts, Kep Nuts, Sleeve Nuts, Miscellaneous Nuts, Nylon Insert Lock Nuts, etc. . BOLTS Bolt Size: M02 to M33 Length: 3mm to 1000mm Type: Hanger Bolts, Plow Bolts, Shoulder Bolts, Flange Bolts, Draw Bolts, Toggle Bolts Scraper Blade Bolts, Stove Bolts, Tap Bolts, Elevator Bolts, Hex Bolts, Heavy Hex Bolts, Structural Bolts, Square Bolts, etc. .
SCREW Size: M02 to M33 Length: 3mm to 1000mm Type: Cabinet Installation Screws, Cement Board Screws, Concrete Screws, Decking Screws, Dowel Screws, Drywall Screws, Floorboard Screws, Metal to Wood Screws, Machine Screws, Resistant Screws, Sheet Metal Screws, Cap Screws, Socket Cap Screw, Self Drilling Screws, etc. 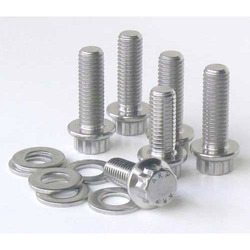 WASHERS Washer Size: M02 to M33 Type: A-325 Flat Washers, Fender Washers, Internal Tooth Lock, External Tooth Lock, Plain Washers, Square Washers, Dome Plain Washers, Countersunk Washers, Dock Washers, Ogee Washers, Bevel Washers, Flat Washers – SAE, Flat Washers – USS, Split Lock Washers, etc. .
FORM OF FASTENERS Nut Size: M02 to M50 Type: Hex Nuts, Grds 2, 5 8 , Auto Lock Nuts, 2-H Heavy Hex Nuts, Coupling Nuts, Acorn Nuts, Slotted Nuts, Heavy Hex Nuts, Square Nuts, Jam Nuts, Wing Nuts, Kep Nuts, Sleeve Nuts, Miscellaneous Nuts, Nylon Insert Lock Nuts, etc. . BOLTS Bolt Size: M02 to M33 Length: 3mm to 1000mm Type: Hanger Bolts, Plow Bolts, Shoulder Bolts, Flange Bolts, Draw Bolts, Toggle Bolts Scraper Blade Bolts, Stove Bolts, Tap Bolts, Elevator Bolts, Hex Bolts, Heavy Hex Bolts, Structural Bolts, Square Bolts, etc. . SCREW Size: M02 to M33 Length: 3mm to 1000mm Type: Cabinet Installation Screws, Cement Board Screws, Concrete Screws, Decking Screws, Dowel Screws, Drywall Screws, Floorboard Screws, Metal to Wood Screws, Machine Screws, Resistant Screws, Sheet Metal Screws, Cap Screws, Socket Cap Screw, Self Drilling Screws, etc. 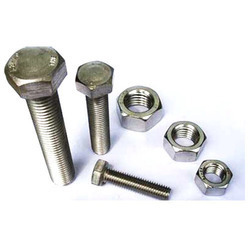 WASHERS Washer Size: M02 to M33 Type: A-325 Flat Washers, Fender Washers, Internal Tooth Lock, External Tooth Lock, Plain Washers, Square Washers, Dome Plain Washers, Countersunk Washers, Dock Washers, Ogee Washers, Bevel Washers, Flat Washers – SAE, Flat Washers – USS, Split Lock Washers, etc. .
PETROMET FLANGE INC is a manufacturer, stockist and supplier of ASTM A193 Grade B7 Bolts in India. 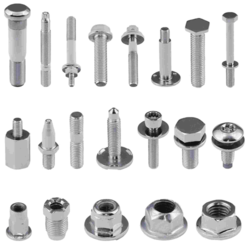 We supply Hex Bolts, Heavy Hex Bolts, Stud Bolts in A193 Grade B7 material. 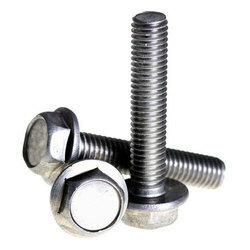 These B7 bolts are supplier with PTFE, Zinc, Cadmium and Hot Dip Galvanizing. 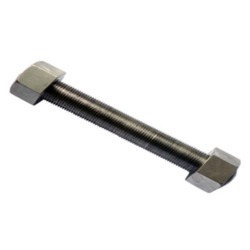 We use AISI 4140 as starting material for manufacturing B7 bolts. 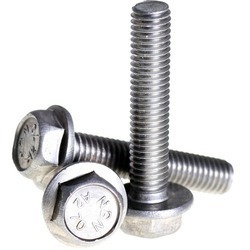 ASTM A193 Grade B7 is a standard specification for high tensile alloy steel bolting material, for high temperature, high pressure service and other special purpose applications. 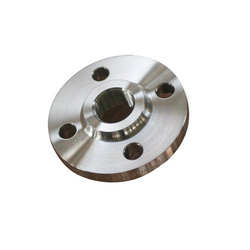 Grade B7 is a heat treated chromium-molybdenum (Cr-Mo) alloy steel with minimum tensile strength requirement of 125 ksi, yield 105 ksi, and maximum hardness of 35HRC. 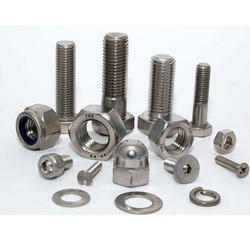 ASTM A193 grade B7 is the most commonly used bolting material. 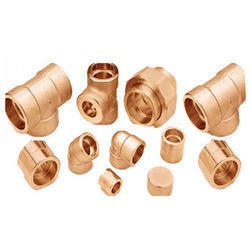 Grade b7 bolting can be produced in metric sizes from M6 to M180 and imperial sizes from 1/4 to 7 inches, in diameter. 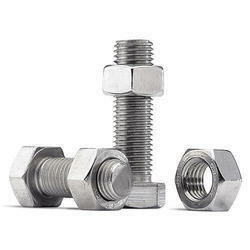 ASTM A193 Gr B7 bolts are used in wide array of applications in almost all sectors. 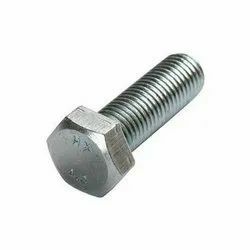 ASTM A193 Gr B7 ASTM A193 Gr B7 stud Bolt are manufactured from chromium molybdenum ferritic alloy. 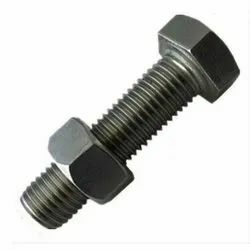 B7 stud bolt have a standard temperature range of minus 29 degree Celsius to 427 degree Celsius and are used in flanges of standard ASTM A105. 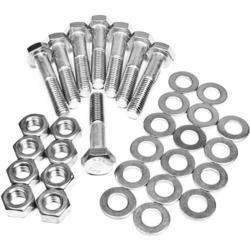 Recommended nuts for b7 stud bolts are grade 2H Hex nuts. 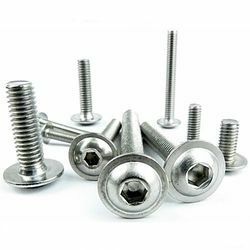 GRADE B7 stud bolts are generally supplied in finishes such as Plain,Blackening,Zinc plated(Electroplated),Cadmium(Yellow),Teflon coating(blue) etc according to the nature of application and environment.